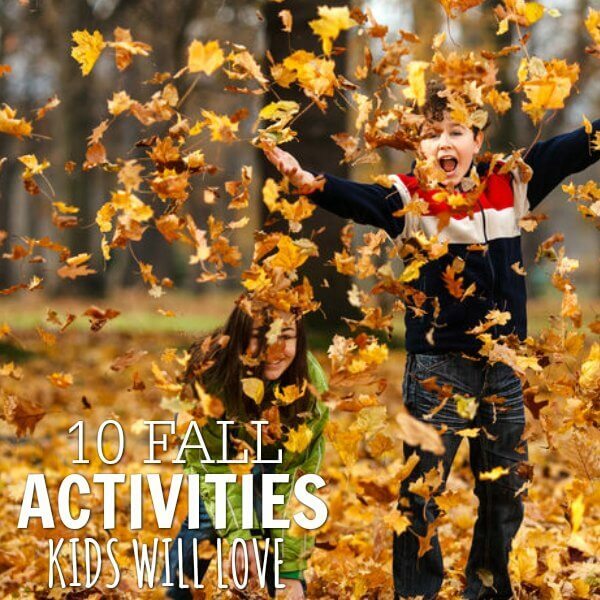 Fall Activities for Kids - Fall Bucket list for kids everyone will enjoy! 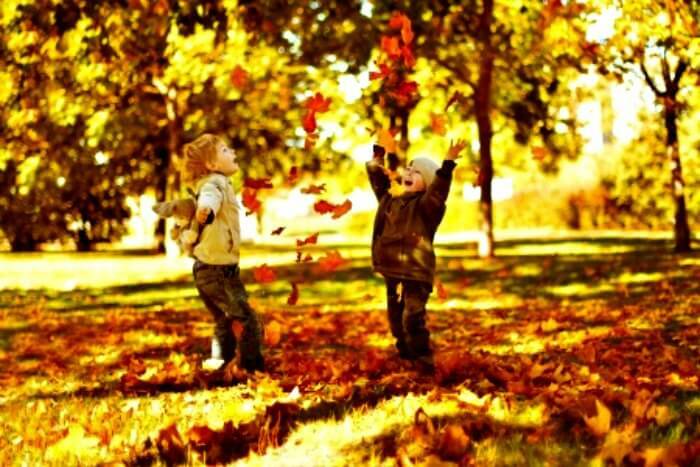 Fall is such a wonderful time of year and there are so many fun Fall activities for kids! We have 10 free fall activities for kids to enjoy this season as a family. 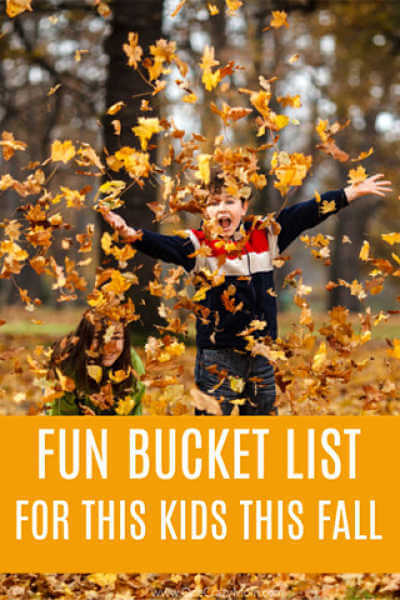 Get started today on this Fall Bucket list for kids that the entire family is sure to enjoy! The leaves are turning beautiful colors, the air is crisp and it’s pumpkin everything! However, life can also be really busy and it’s easy to miss all the splendors of the season. Sometimes we get caught up in our to do lists, endless activities and household chores that it’s easy to miss special moments. That is why I wanted to give you some easy autumn activities for kids that you can easily enjoy this season as a family. Let’s be intentional with our time and make some wonderful memories. We have compiled a list of Free Fall Activities for Kids to help us be intentional this season. This list is not meant to be extravagant but to focus on the simple pleasures in life. Don’t you agree that the best memories are often the ones spent just playing with our kids? From nature walks to jumping in leaves and exploring the pumpkin patch, these activities are free or inexpensive. There is something for all ages and the entire family will have a blast. The cooler weather is perfect to get outside and just explore and have a blast. You might want to print this Fall bucket list and put it on your fridge. You can mark them off as you do these fun activities. Another idea is to to the kids choose a fun activity to do each week. They will look forward all week to being the one to choose. 1. Curl up and read a book all about Fall. We have lots of favorites but Llama Llama Gives Thanks is always one at the top of the list. It is a wonderful book to enjoy year after year and encourage being thankful. What could be more fun than jumping in a giant pile of leaves! Grab the kids and see who can make the biggest pile and then jump! Your house will smell amazing and the kids will have a blast helping you bake pumpkin bread, muffins, cookies or anything you like! Pumpkin Cookies are a big hit in our house. We have a ton of recipes here we use. Take a walk into the woods, in the park or just around your yard! Spot leaves and rocks and just be together and enjoy all the signs of Fall. This is a great time to talk and just hear about each other’s day. We love It’s the Great Pumpkin, Charlie Brown but any Fall movie will do. Make some popcorn or enjoy a Fall treat and watch the movie as a family. 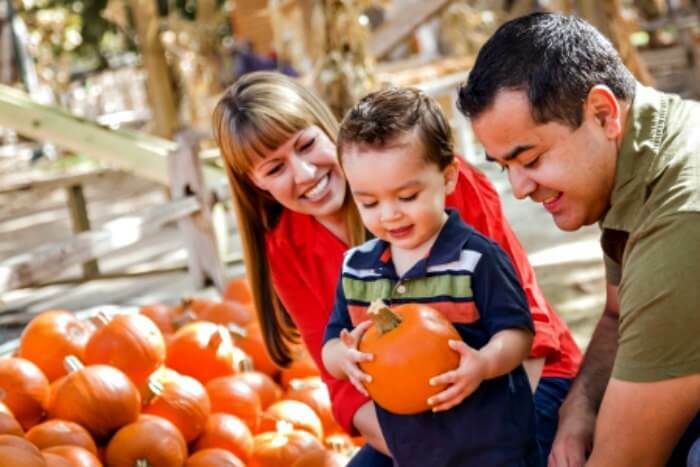 Pick a pumpkin, enjoy a hay ride, play a few games and take in all your local pumpkin patch has to offer.This is an annual tradition that you can enjoy and the kids will look forward to it each year. Visit a nearby apple orchard and spend the day picking apples. Pack a picnic and make a day of it! So fun. Make a bonfire or use your fire pit to make s’mores. You could also roast hot dogs and have dinner and dessert! Tell stories as you all sit around the fire and just enjoy being together. Gather sticks or small branches and place in a vase. Make construction paper leaves and each day let the entire family write something they are thankful for on the leave. Attach the leaf to one of the branches and you will soon have a tree full of leaves expressing thanksgiving. Decide as a family something you can do together in the Fall to help someone else. You might donate food to your local food bank, pay for the car behind you in the drive thru, leave extra change taped to the vending machine or whatever your family feels led to do! 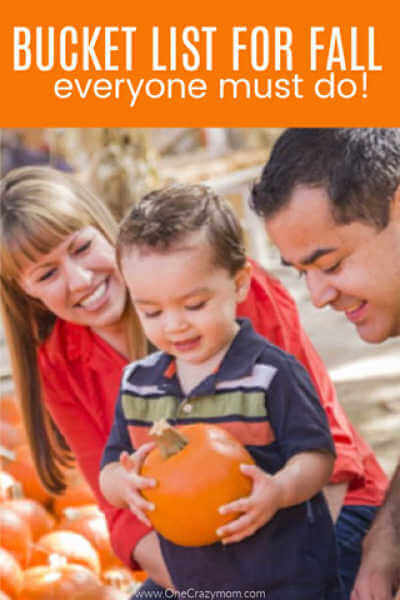 I hope your family enjoys these Fall activities for families! Let us know what your favorite Autumn activities for kids are. We have so many that we love to do. It is so much fun doing old favorites each year and then adding new ones to the list. Do you have a bucket list for fall? From Fall activities for school age children to autumn activities for kindergarten age and more, there is something for everyone to enjoy. These outdoor fall activities will form lasting memories the entire family will cherish. Life can be busy with school, work and extra curricular activities like fall sports for kids. These free fall activities for kids are simple and can easily be squeezed into a busy schedule. You might also like these fall crafts for kids. There are lots of ideas that would be fun to do with the kids on that list as well. Get started making sweet memories with your family today!